Since its inception in 2002, the Computer Art Congress has brought together artists and scholars from all over the world to observe and study the manifestations and evolution of this particular art form. For its 6th edition, the Congress intends to explore the various ways in which Computer and Media Art is taught. The immense variety and richness of the artistic expressions produced in the field of digital arts reflects a multiplicity of educational approaches: It is one of the goals of this congress to open a dialogue between these different forms and contexts of learning. 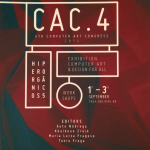 To this end, CAC.6 invites theoreticians, practitioners, artists, and teachers to present their work and experience. 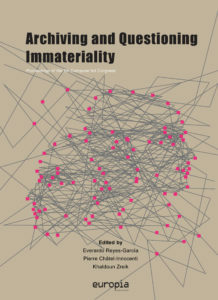 In particular, CAC.6 would like to contrast and parallel artistic practices with educational practices, and possibly propose experimental collaboration frameworks between these two practices.